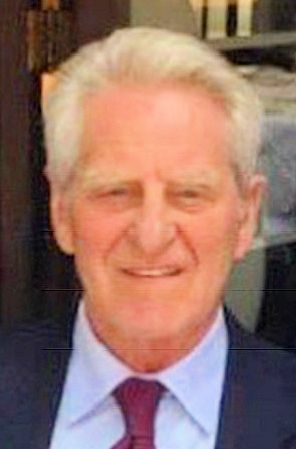 MURPHY, Gerard M. “Luke”, of Braintree, formerly of Mission Hill, passed away peacefully, at his home, on March 22, 2019, surrounded by his loving family, at the age of 83. Born and raised in Boston, Luke graduated from Mission High School and Newbury Junior College. He proudly served his country in the United States Army, where he was awarded the Good Conduct Medal and the National Defense Service Medal. He worked for 37 years for the United States Postal Service, retiring with the position of Injury Compensation Specialist. After his retirement, he went on to work another 10 years for Massachusetts Rehabilitation Commission. A devoted husband, father, grandfather, brother, uncle and friend, Luke will be greatly missed by all who were blessed to have known him. Gerard is survived by his beloved wife, Lois C. (Finnegan) Murphy. Loving father of Christine M. Sullivan and her husband John of Manchester, CT, Susan M. Flint of Braintree, Jayne M. Murphy of Wollaston and Carolyn M. Murphy of Weymouth. Brother of the late John, Thomas, James and Maryellen Murphy. Dear “Papa” to Jack and Molly Sullivan. Gerard will now be reunited with his beloved late grandson, Lucas D. Flint. Also survived by Donald S. Bertolino of Dennis Port, David Buck of Taunton and many adoring nieces and nephews. Relatives and friends are respectfully invited to attend a Memorial Funeral Mass on Monday, April 1st, at 10:30 AM in St. Francis of Assisi Church, 850 Washington St., Braintree. Burial will be private. In lieu of flowers, memorial contributions may be made in his name to the New England Donor Services, 60 First Avenue, Waltham, MA 02451.